The first grand winner for the ‘MasterChefPinoyEdition’ is a home cook JR Royol. JR Royol won the TV reality cooking show on ABS-CBN with his organic goose dish called “ Chicken Bigorot” after impressing 4 chef-judges and 2 guest-judges. Royol explained to the judges that, "ito po 'yung fusion ng origin ko, ng heritage ko. Bicolano po ang father, and ang mom ko is proud Igorota. 'Yung chicken, poached po siya with salted etag, and to put a twist of Bicol in it, gumamit po ako ng gata. He also said that,"Tino-torch po naman 'yung feathers, para magdagdaga ng extra depth and flavor doon sa broth niya. For the rice, I used heirloom rice and etag din. Second Place Carla Marcaida won with her "Tuna Adobo and Dilaw na Kanin." Third place went to Ivory Yat who cooked a "Palabok Finale." For The Fourth Place Myra Santos. 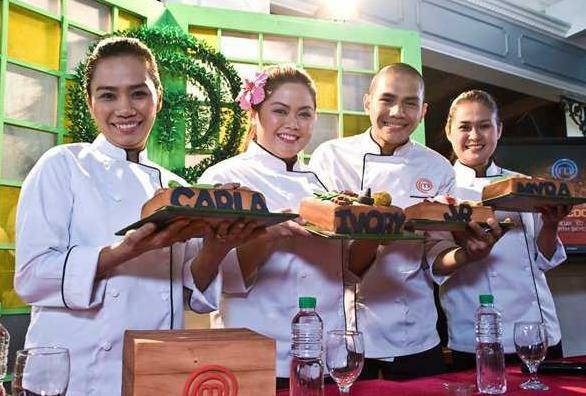 The 4 chef-judges of "MasterChef Pinoy Edition" were Ferns Arcama, JP Anglo, and Chef Laudico, and Judy Ann Santos. The 2 guest-judges were Kris Aquino and Richard Gomez. During the live cook off, the remaining three home cooks were given 30 minutes to make their signature MasterChef dish. Getting the score of competition with a average points of 96.1 in the end Royol is the most topped. Kris Aquino said to JR Royol commenting in his dish that,"Hindi ako fan ng goose but I love yours, yung rice, yung layering ng flavors na ginawa mo at yung crunch [ng goose]. Nakaka-in love ka magluto. Yung smokiness...perfection." Royol took home the P1 million cash prize, a culinary scholarship from the Center of Asian Culinary Studies, and a kitchen showcase from Fujidenzo. He is very thankful for all the blessings he had for winning the price"I feel so blessed and thank you so much. This is such an honor.After the announcement that he is the winner. JR Royol fulfilled his dream of being the first Pinoy MasterChef, which will allow him to also realize his dream of marrying his girlfriend. He also wants to use his cash prize to support his child with a former partner whom he has not seen in months. Royol also is a band vocalist and he was born in Benguet province in northern Philippines.